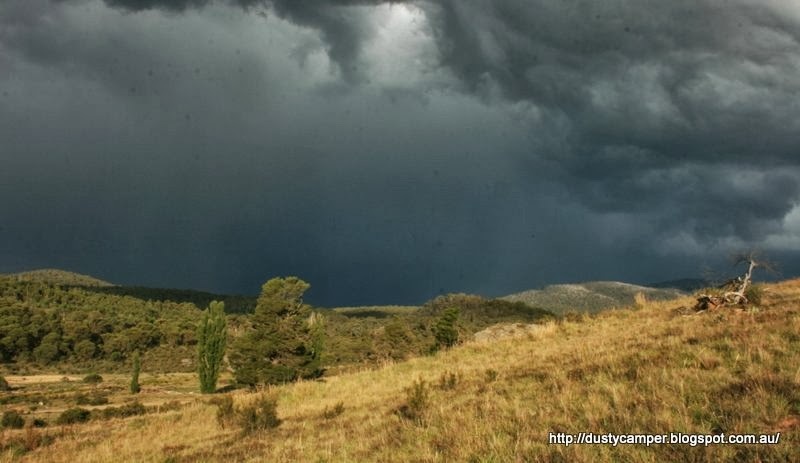 Snowy Mountains Road trip – Canberra Day Long Weekend. Like a lot of Canberrans we made the most of the 3 day weekend, to take a break from the city. The weather at the coast was predicted to be wet and windy, no better excuse was need to head the hills. We were on the road by 8am on Saturday morning and made a stop in Cooma, I love a good Tourist Information Centre. All those free maps and the local bird list. 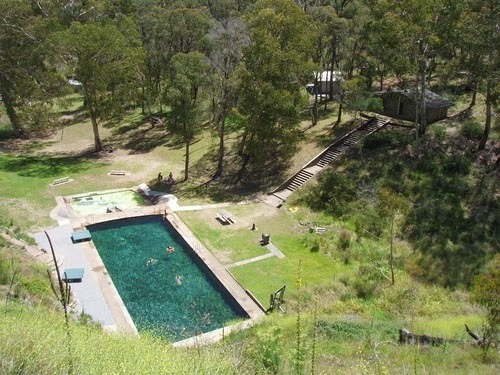 Our destination was the thermal pool at Yarrongabilly Caves in the Kosciusko National Park, via Adaminaby and Kiandra. 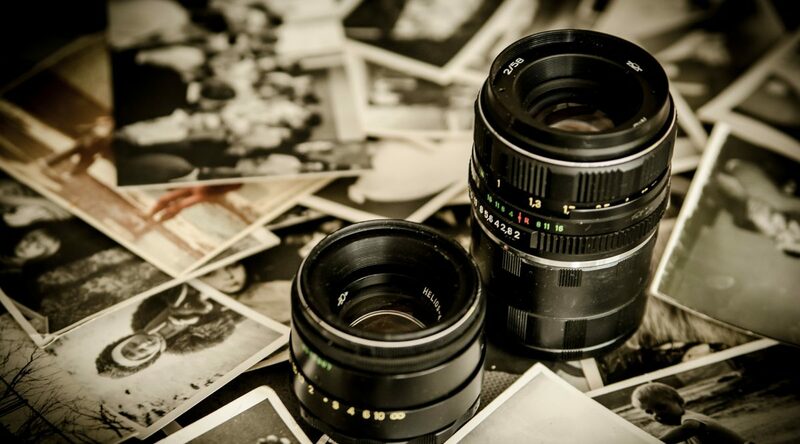 I forgot to take the camera down with us, so this image is uploaded from the Internet. The pools are down a steep track from the car park, the walk takes about 15 minutes on the way down and was a bit of a trek back up taking us twice as long. We enjoyed the afternoon swimming in the 27 degree water, despite a couple of showers of rain. There is no camp site at the pools so we drove on to the site of old township of Yarrongabilly, to a great little camp site beside the river. 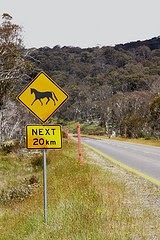 Although we saw lots of warning signs and poo on the road we didn’t see any of the reported 7,500 brumbies running wild the the park. 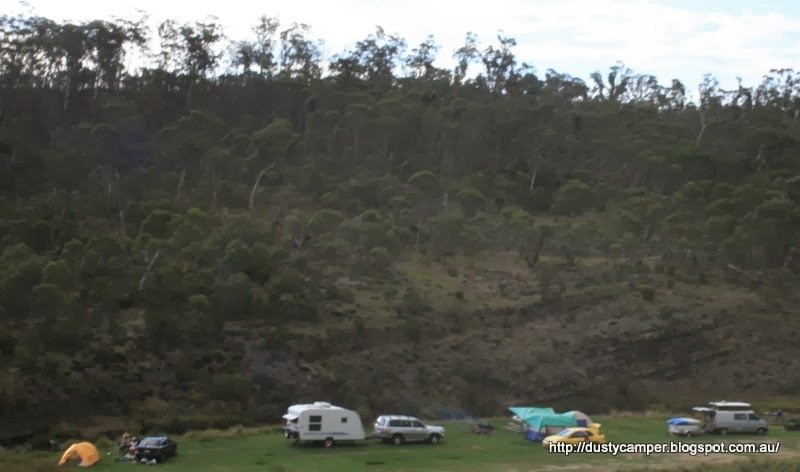 The VW really went well and ate up the hills arriving at the camp in time to get the fire going before dark. We were relieved when this storm passed to the north, entertaining us over dinner with a lightening show. 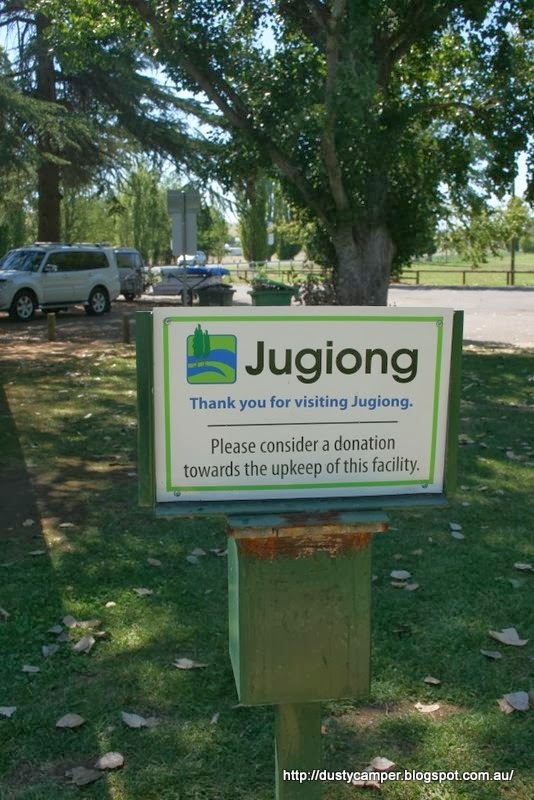 The drive through the mountains to Tumut follows the side of the Blowering Reservior, most of the campsites along the way were patronised by water skiers, so we decided to continue on stopping for lunch at the 24 hour RV camp at Gundagui. 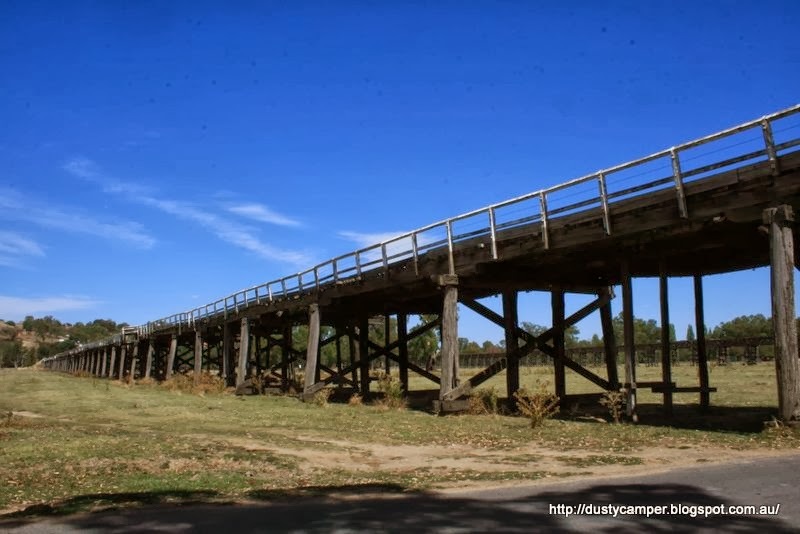 This site is really interesting as it under Gundagui’s beautiful old wooden bridges, you can just make out the railway bridge in the background..
Sunday night was spent at the great camp at Jugiong Showground. This is a very clever move by the showground trust and the Harden Shire Council, to bring grey nomads into the area. Thus tapping those tourist dollars. I had a great paddle up the Murrumbidgee River while Mr P peddled around the town. Our camp spot was beside the river complete with a camp fire. We were able to burn some more of our supply fence posts we carry in the Venter. We very happily made a donation for our nights stay.